TS Entertainment (also known as TS ENTER (티에스이엔티이알)) is a South Korean record label and entertainment agency founded in 2008 by Kim Tae‑song (김태송). It is located at 788-6, Hannam-dong, Yongsan-gu, Seoul, South Korea. The company is responsible for managing idol groups such as the hip hop duo Untouchable, Sonamoo and TRCNG. 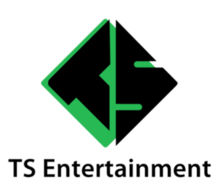 TS Entertainment was founded by Kim Tae-song in October 2008. The company signed Untouchable as their first artist and released their debut single "It's Okay" in the same month. In October 2009, TS Entertainment officially debuted the four-member girl group Secret. They were first introduced to the public through the reality show Secret Story on Mnet. On October 13, 2009, Secret's debut single "I Want You Back" was released. In July 2011, TS Entertainment established themselves outside South Korea through the formation of TS Japan in Tokyo, Japan. In January 2012, TS Entertainment debuted a six-member boy band named B.A.P. The members were introduced in a documentary show, Ta-Dah, It's B.A.P which first aired on SBS MTV Korea on January 8, 2012. On December 29, 2014, TS Entertainment debuted a seven-member girl group named Sonamoo. On April 28, 2018, TS Entertainment's CEO and founder Kim Tae-song, died. On November 27, 2014 the six members of B.A.P collectively filed a lawsuit against TS Entertainment in order to nullify their contracts, claiming unfair conditions and profit distribution. The following day, TS Entertainment issued a press release refuting the claims made, stating that "there have been neither such maltreatments to the artists nor unfair clauses in the contract". On August 1, 2015, B.A.P. returned to TS Entertainment as both parties reached a settlement. ^ "B.A.P - Profile". MTV Korea. MTV World & MTV Networks, Viacom International Inc. Archived from the original on 2013-06-10. Retrieved 2013-04-20. ^ "About TS Entertainment - History of TS Ent". tsenter.co.kr. Archived from the original on 2 October 2013. Retrieved 24 April 2018. ^ "Secret - Profile". MTV Korea. MTV World & MTV Networks, Viacom International Inc. Archived from the original on 2013-06-30. Retrieved 2013-04-20. ^ "About TS Entertainment - Introduction". tsenter.co.kr. Archived from the original on 29 January 2012. Retrieved 24 April 2018. ^ "송지은 래퍼" 방용국, 과거 힙합씬 활동사진 공개 ‘훈훈포스’ [TS Entertainment reveals past photos of Ji Eun’s rapper, Bang Yong Guk]. Newsen Power News (in Korean). Newsen. 2011-03-08. Archived from the original on 2011-03-15. Retrieved 2012-01-23. ^ Hong, Lucia (2012-01-26). "New boy band B.A.P's debut documentary to air in 8 Asian countries". 10asiae News. 10asiae (ⓒ 10아시아 ). Archived from the original on 2013-09-27. Retrieved 2012-02-28. ^ "Get 'Deja Vu' with the edgy and chic ladies of SONAMOO in debut MV". allkpop.com. Archived from the original on 11 January 2018. Retrieved 24 April 2018. ^ "TRCNG growl in 'Wolf Baby' MV!". allkpop.com. Archived from the original on 31 March 2018. Retrieved 24 April 2018. ^ "[부고]시크릿·B.A.P 소속사 TS엔터 김태송 대표, 27일 별세". ^ Kim, Hyung-woo; Hong, Grace Danbi (November 27, 2014). "TS Entertainment Checking on B.A.P′s Lawsuit to Nullify Contract". Newsen. Mwave. Archived from the original on November 30, 2014. Retrieved November 27, 2014. ^ Ock, Hyun-ju (November 28, 2014). "Star agency refutes B.A.P slave contract controversy". K-Pop Herald. The Korean Herald. Archived from the original on November 29, 2014. Retrieved November 28, 2014. ^ "B.A.P reported to have filed to nullify their contract with TS Entertainment". allkpop.com. Archived from the original on 6 January 2018. Retrieved 24 April 2018. ^ "[BREAKING] B.A.P returns to TS Entertainment after long legal battle". allkpop.com. Archived from the original on 8 January 2018. Retrieved 24 April 2018.